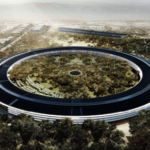 Impressively, it manages this despite having “only” a single-camera design for its main camera. Its top scores in most of our traditional photo and video categories put it ahead of our previous (tied) leaders, the Apple iPhone 8 Plus and the Samsung Galaxy Note 8, despite the Pixel 2 coming in lower in the new Zoom and Bokeh categories. 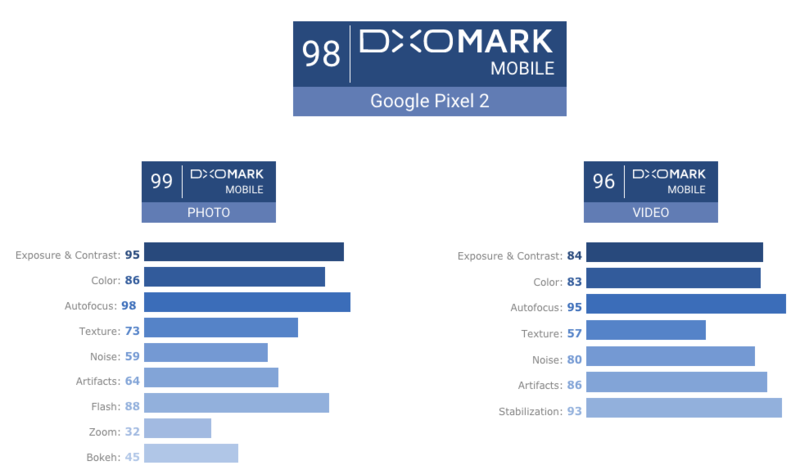 The Pixel 2 is also a major step forward from the Pixel (which was our top scorer when it was released a year ago), moving from 90 to 98. The Pixel 2—which starts at $899 CAD ($1159 CAD for Pixel 2 XL)—scored 98 for its overall camera score, topping Apple’s iPhone 8 Plus and Samsung’s Galaxy Note 8, both tied at 94. 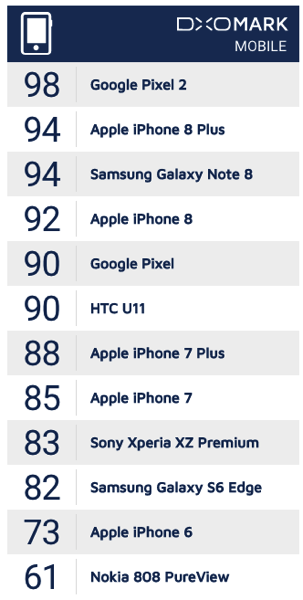 Apple’s iPhones still take 5 of the top 12 spots when it comes to overall scores. Again, this is just one set of smartphone camera tests, so take them with a grain of salt. Look at the sample images posted and decide for yourself what looks the best (and don’t forget to read the comments at DxOMark).